Over 90% of the population lives below poverty levels (extreme poverty) making their living by farming and fishing. At first, I paid no attention, but soon the irony of it dawned on me: Why so many applicants from the poorest region of the country? All things considered, how did they get educated well enough to qualify for URACCAN, our medical university in Puerto Cabezas? I was curious regarding why these candidates were coming from an area like this. My investigation opened my eyes. The foundress of Adelante Mujer as well as all of my elementary school teachers were Sisters of St. Agnes. I remembered having heard much about Nicaragua from them, but at the time I was unaware that some of them had actually taught there. 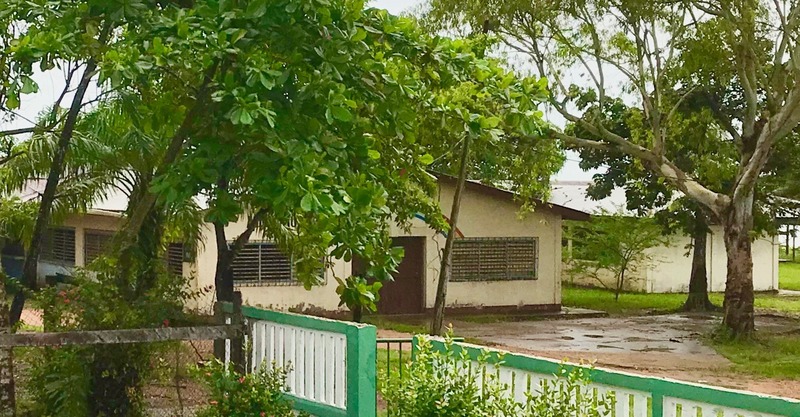 The 1st of 5 elementary schools in Nicaragua, administered and taught by the Sisters of St. Agnes, was in Waspam. Students there were getting the same excellent education I received from these same Sisters. convent, which now had a high wall enclosing it and the surrounding grounds. Our driver happened to know the guard at the gate so we were admitted inside. Sister Diane was thrilled to see how much the convent had been renovated, conditions nothing like those she had endured while visiting there. No more bats! As we ascended the high, exterior stone steps, we could see a one-story, blue school. That, Sister Diane said, is the school rebuilt to replace one heavily damaged by hurricane Felix in 2007. At the time the Sisters didn’t believe it could be finished on time for the coming school year, but to everyone’s amazement, it was completed and opened. Looking to our left Sister Diane pointed out a building called the Maureen Courtney School. 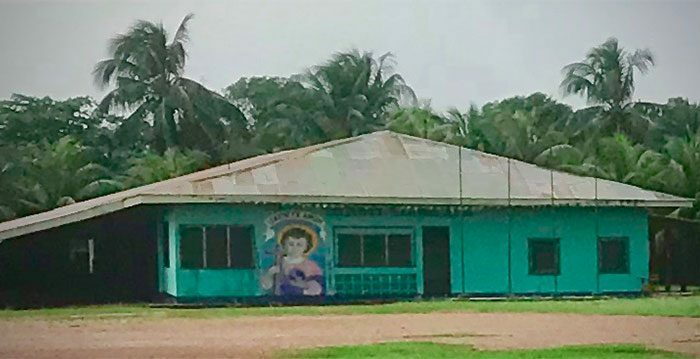 I learned that it was named after Sister Maureen Courtney, a 45-year-old Sister of St. Agnes from Milwaukee, WI., who had been working with the Miskito people in Nicaragua for years before she was killed by a rifle grenade in a roadside ambush during the war in 1990. On the convent grounds is a statue of Mary holding the Christ Child. We were told that it is part of a monument being built to honor all of the missionaries who have worked so diligently to help the local people. There will be plaques, with their names, made and placed around the statue. Some of us may never go to Nicaragua, but through our donations we are directly supporting a mission to educate these young women from Waspam who will return home as doctors. As we can see, our financial help is appreciated and not forgotten. Please give to help support this mission. (For those of you who follow my blogs I want to let you know that Esther (Dec. 2017 blog) had a healthy baby boy).